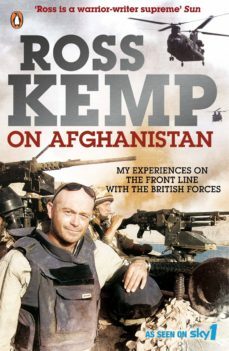 Ross Kemp risks all to tell the story of the British soldier in Ross Kemp on Afghanistan.He has played an East End hardman, an SAS soldier and investigated vicious world gangs. Now Ross Kemp is taking on perhaps his hardest assignment of all - the Taliban. In order to prepare for this life-threatening ordeal, Ross Kemp trains with the First Battalion Royal Anglians in Englands subzero temperatures, practicing firing SA 80 rifles and .50 calibre machine guns, getting to know the soldiers and learning the tactics they use to stay alive. Sent with them to Camp Bastion in Afghanistans Helmand province, he immerses himself fully: he endures the stifling heat, the constant threat of snipers, RPG attacks, suicide bombers and land mines. In short, he discovers first hand what its like to fight on the frontline. Its the closest hes ever come to dying - bullets fizzing inches from his head as they hit the ground on either side of him. After two harrowing and arduous months Ross returns to England, but there is little relief to be had as he meets the mothers of soldiers killed in the conflict. Then in September 2008 he goes back to the war zone, to see how the men he grew so close to are faring, to check how many of them are still alive. Ross Kemp on Afganistan is a fascinating, horrifying and often moving insight into the brutal reality ordinary soldiers have to face in one of the worlds most dangerous and volatile regions.Ross Kemp was born in Essex in 1964, to a father who was a senior detective with the Metropolitan Police and had served in the army for four years. He is a BAFTA award-winning actor, journalist and author, who is best known for his role of Grant Mitchell in Eastenders. His award-winning documentary series Ross Kemp on Gangs led to his international recognition as an investigative journalist.